To many, what can be achieved with balloons remains a mystery. 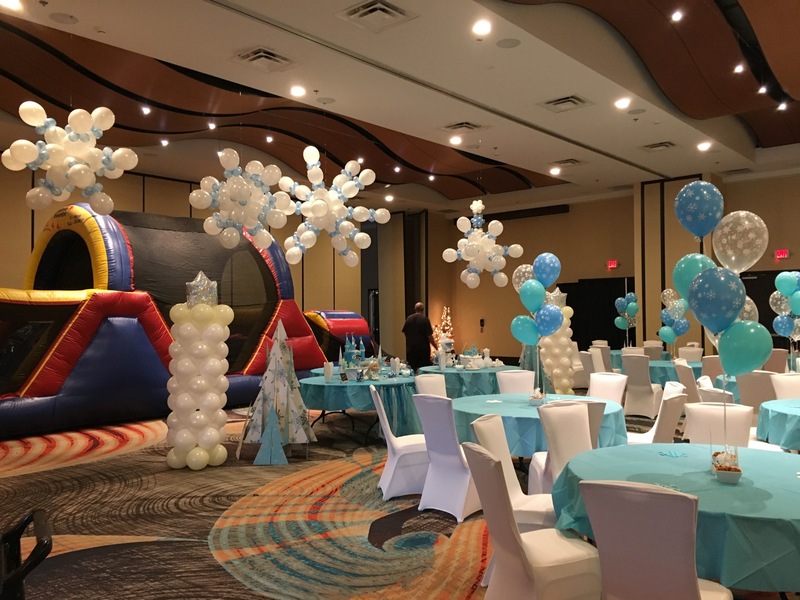 Unless you’ve been to an event where balloons were used as either the main decor or added features, you may not be aware of everything that can be accomplished with the use of balloons. Here are some little known balloon facts. Balloon decor has been around for a long time. We owe this art to a fellow named Treb Heining who invented the balloon garland. It was him who first popularized professional balloon decor in the late 1970s. His vision launched a national phenomenon, and his basic design became the cornerstone of Classic Balloon Decor. He turned an unlikely skill and a daydream into a worldwide industry. While working as a simple balloon vendor at Disneyland at age 15, Treb discovered he was a wizard at tying balloons. His dream was to turn his unusual talent into a career. The results have dazzled millions of people around the world for the past 46 years. Balloon Facts #2: How long do balloons last? The life span depends very much on the environment where it is exposed. The heat and sunlight will shorten the life of any balloon, whether latex or foil/mylar. Latex balloons filled with air will last several days inside your home. However, balloons outside will quickly oxidize, loose their shine and start looking velvety. If the temperature is cool or cold, they will also shrink – if it’s warm or hot, they will expand. A professional balloon artist will know to ask where the decor will be and will inflated the balloons accordingly. Latex balloons can be individually treated to remain “shiny” a little longer. However this will add to the cost as each one much be treated individually. As far as helium filled, in a perfect environment a non-treated helium filled latex balloon will be at it’s peak for about 12 hours and then will quickly descend. When we need to have them last longer, we will treat them with a product that will help them float for at least 24 – 36 hours. Of course this will add to the cost. Each balloon must be treated individually and the interior must dry before it’s inflated. As for foil/mylar balloons inflated with helium, you can expect them to last for weeks. They will shrink & wrinkle but will continue to float. Our balloon bouquets are always treated for a longer float time unless they’re ordered for a short term event and longer floatation is not required. As professional balloon artists, we have access to a recently developed balloon made from plastic. These come in an array of designs and can be suited for any decor. The most amazing feature of these types of balloons is that they can last for months! Ask how we can include these beautiful balloons in your decor! Balloon Facts #4: Are balloons harmful to the environment? All latex balloons are bio-degradable and decompose at about the speed of an oak leaf. However, a balloon can be lethal if swallowed by any small animal or bird. It’s very important to pick up and discard all of the balloons – something that we always do on all of our jobs. We also try to educate clients and impress on them not to release any balloon, especially when it’s attached to a ribbon of any kind. That ribbon will not decompose, will become waste and might possible entangle a bird, fish or small animal. Here at Volunteer Balloons we adhere to Smart Balloon Practices. Foil or mylar balloons should never be released as they are definitely not friendly to the environment. They’ve also been known to cause power shortages if they land on the wrong part of a power line. Balloon Facts #5: What about venues that frown on the use of helium filled balloons? Almost all of our decor is air filled. Very seldom to we use helium and if we have to, we will guarantee that our balloons will not be released (accidentally or intentionally), inside their venue. Should such a situation occur, we are prepared to recuperate each and every escapee. We have methods to handle this appropriately – not a single balloon will be harmed in the process.